Bed Bug Barrier Testimonial – Melbourne 3000. I would like to thank you so much for developing such an easy, low cost DIY option that has solved my recent bed bug infestation. But more importantly thank you for providing a long term solution that protects my guests into the future. 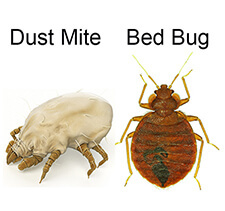 I also think the step by step bed bug instructional video on your website is brilliant because it is so easy to understand! I have a short term accommodation business and received quotes in excess of $600 for just one room from the pest controllers. I couldn’t afford these prices because they didn’t include any long term protection so I knew there was a very good chance the bed bugs would come back. Thanks, it’s been 6 months and still bed bug free. You have saved me money, time and certainly my reputation. Great stuff! !